PAY ATTENTION TO:Uses 3 AA Standard Alkiline Battery(Not Included). Hope you can understand. What you get: 1 x 51leds UV flashlight(Not Included Battery) Bulb Type: 390 to 395 (nM) Bulb Life: 100,000 Hours Body Material: Aluminum with "O" rings for water resistance Battery Require: 3 x AA Alkaline Battery (Not Included) Battery Life: Approximately 20 hours on 3 AA batteries Switch Type: Push On/Off button Weight: 10 oz. 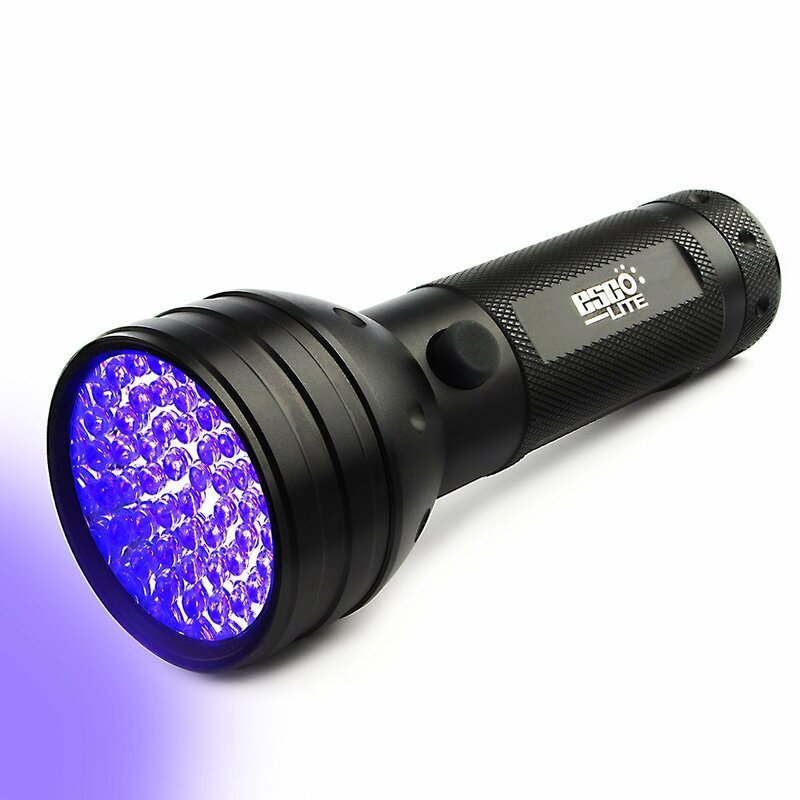 285 gram Head Diameter: 2.25" or 57 mm Body Diameter: 1.42" or 36 mm Length: 5.80" or 147 mm This large uv flashlight with 51 uv LEDs allows you to cover a much biggerarea without losing the intensity of the UV light. The applications is perfect for inspection applications, security control,rodent contamination, hotel room inspection, and much more. Emits 395 nanometer wavelength 51 UV LED allow to cover a larger area Makessemen stains and other bodily fluids fluoresce! Perfect for outside use such as hunting scorpions and minerals! Water and shock resistant! Perfect for Leak Detection! Rugged, machined aluminum construction with knurled design! Due to the intensity of this UV LED device UV protective glasses arerecommended. Do not look into this device while operating nor shine in any person's eyes.